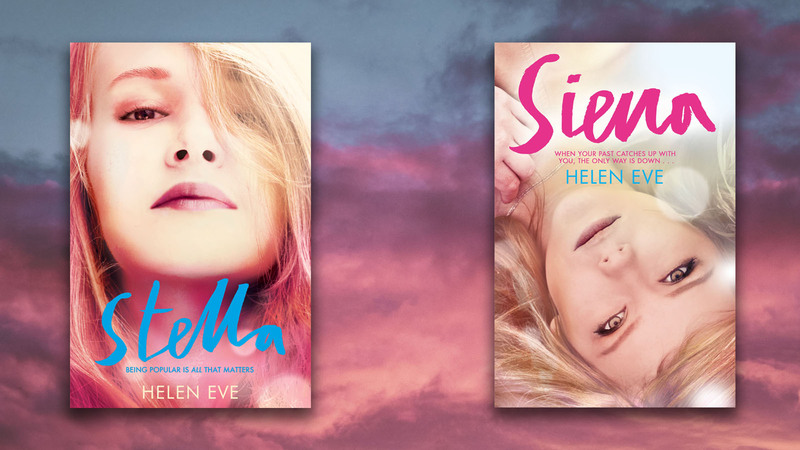 Helen Eve, author of Stella and Siena, discusses her favourite fictional anti-heroines. Writing Stella and Siena gave me the enjoyable challenge of creating heroic, yet unapologetically disagreeable characters. I’ve enjoyed many books featuring memorable anti-heroines - here are some of my favourites. Amy’s apparently posthumous journal depicts her as a loving wife who tolerated husband Nick’s aggressive outbursts and money problems. Later revealed as both unreliable and immensely calculating, she is difficult to defend, and yet, owing to her sheer determination and amusingly vain lack of self-awareness, a reader might find themselves unexpectedly rooting for her. Estella is not only my ultimate anti-heroine but my favourite all-time literary character. Expertly tutored by Miss Havisham in breaking hearts, she is snobbishly rude, mocking Pip for his lowly social status and uncontrollable love for her. We see glimpses of inner turmoil as she warns him of her heartlessness, hinting that she holds him in higher regard than other men; her better character is ultimately revealed in a suggestion that extreme suffering in an abusive marriage has given her the capacity to love. As second-in-command to Queen Bee Lindsay, high school student Sam must turn a blind eye to her best friend’s intimidation of their less-fortunate peers. When Sam is killed in a car accident, she is fated to re-live her final day, railing and rebelling against her fate before, understanding that there is only one way to free herself, she learns the true value of self-sacrifice. When Liz discovers her own drowned body beside the family yacht after her eighteenth birthday party, she must face up to her past misdemeanours in order to uncover the terrible events that led to her death. Stripped of her worldly beauty and wealth, her true, unrealized character slowly emerges; through proximity to fellow untethered spirit Alex, she finds liberation from the secret that binds them. Unreliable narrator and spectacular anti-heroine Briony reimagines parts of her past in an attempt to atone for a disastrous childhood act, when immature self-centredness caused her to destroy the life of her sister and the man she loved. Unable to make amends in the real world, Briony uses the power of her pen to award fictional happiness to those whose realities are irrevocably otherwise. Rachel’s affair with best friend Darcy’s fiancé Dex should cast her as the anti-heroine, but we support nice girl Rachel despite her apparently immoral actions. As she acknowledges her love for Dex, an evaluation of her lifelong friendship with beautiful and outgoing Darcy allows her to reconsider her subservient position as a loyal defender of Darcy’s less palatable character traits. Depicted memorably on screen by both Glenn Close and Sarah Michelle Gellar, the Marquise is inspired by extreme boredom to exact revenge on a rival in an elaborate scheme to ruin young convent girl Cécile. Social obscurity is her punishment when her fellow aristocrats discover the depth of her plotting, as well as the less salubrious pursuits she has hitherto concealed. Numerous Sweet Valley series position rebellious, shallow Jessica against her identical twin, the studious and honourable Elizabeth. Jessica’s determination to establish a separate identity, inspired by her insecurity about existing in Elizabeth’s flawless shadow, initiates a ruthless pursuit of popularity. Jessica’s thoughtlessness and selfishness are belied by her comic antics, while she is ultimately redeemed by Elizabeth’s commendable determination to see the best in her. Thackerey’s satirical Novel without a hero depicts the amoral Becky’s relentless social climb in London society. Blessed with intelligence, beauty and myriad talents, Becky might be thwarted by her inferior female position, but is heroically undeterred by failure. And, if she sacrifices everything that conventional heroines might hold dear, she appears to relish her experiences unreservedly. A fascinating facet of Scarlett’s character development is her idealistic and blinkered pursuit of the comforting nostalgia she sees in her neighbour Ashley, and her subsequent refusal to accept her true feelings of love for progressive Rhett. Whether her devastating impact on men would have been lessened had her name remained ‘Pansy,’ as intended, is an interesting question.